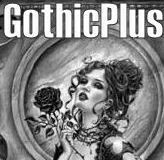 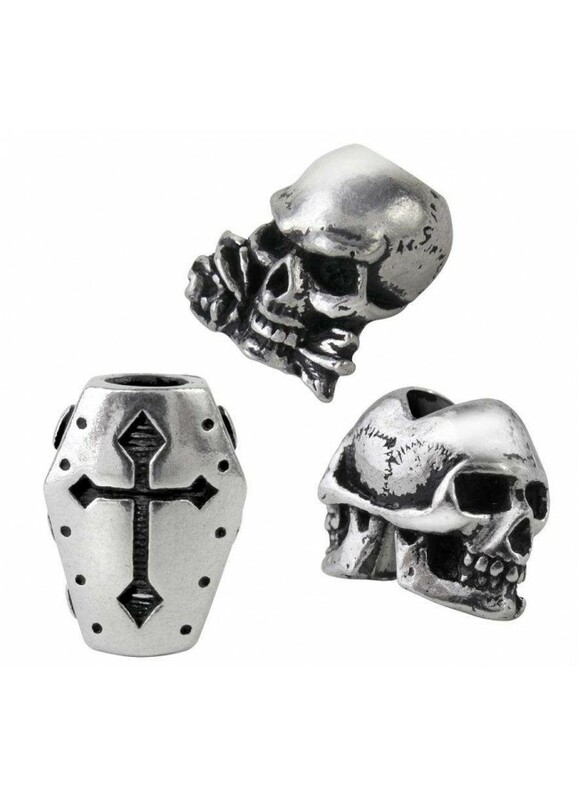 These little pewter treasures are designed to wear in a beard or hair, but crafty goths will love them for any number of projects. 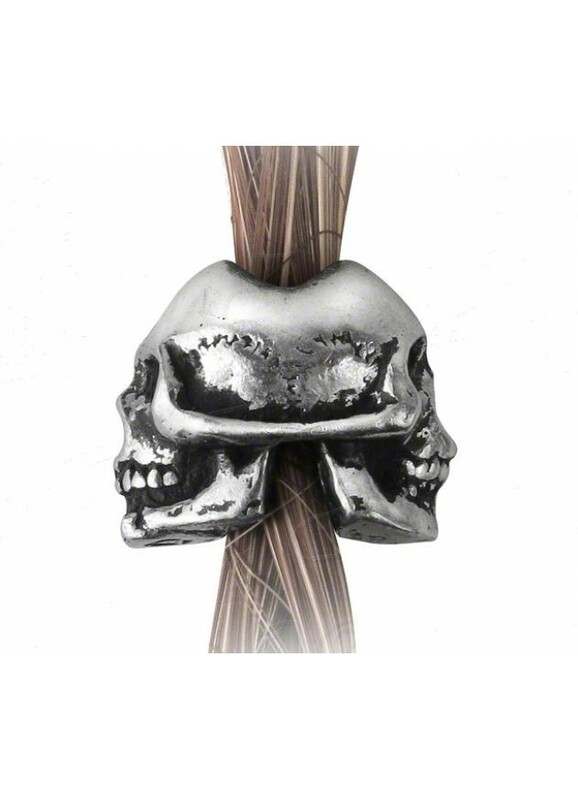 Finely detailed pewter beads are designed to be worn on a braid in your hair or beard, but they are great for many, many projects. 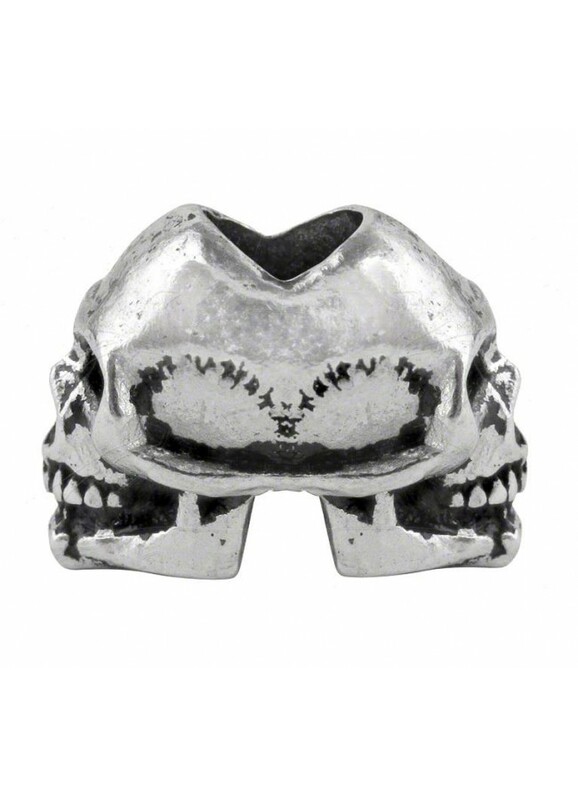 Janus Skull; Looking both backwards to the past and forwards into the future, the Roman god Janus determines beginnings and endings, including war and peace. 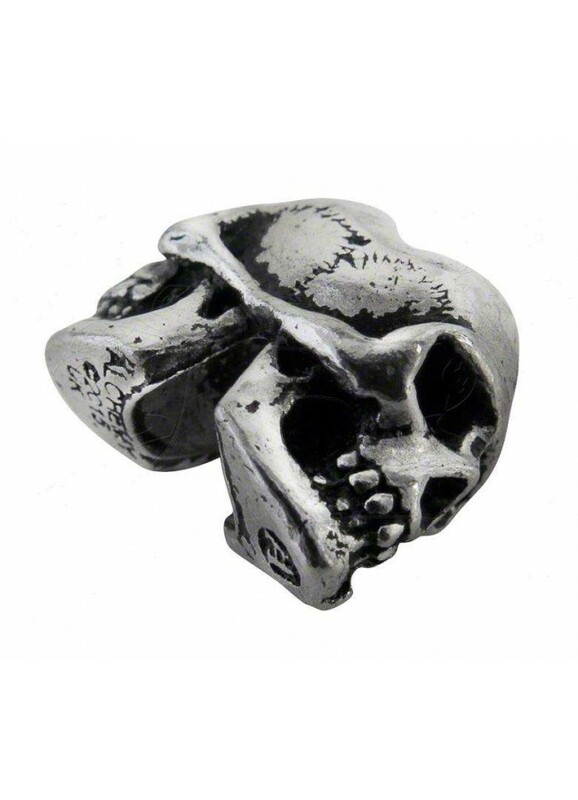 Double sided skull bead. 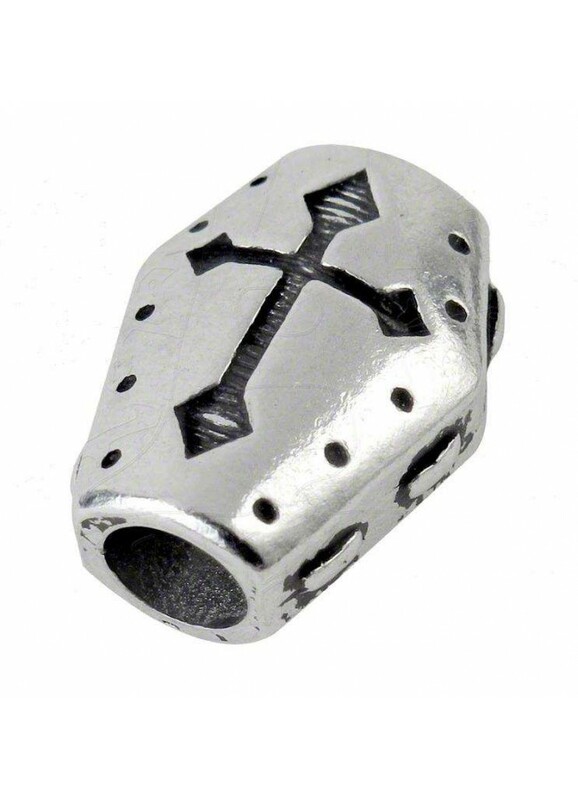 Coffin; A nailed-down coffin, bearing the Mediaeval knights cross is the vessel to carry you safely through from this life into the next. 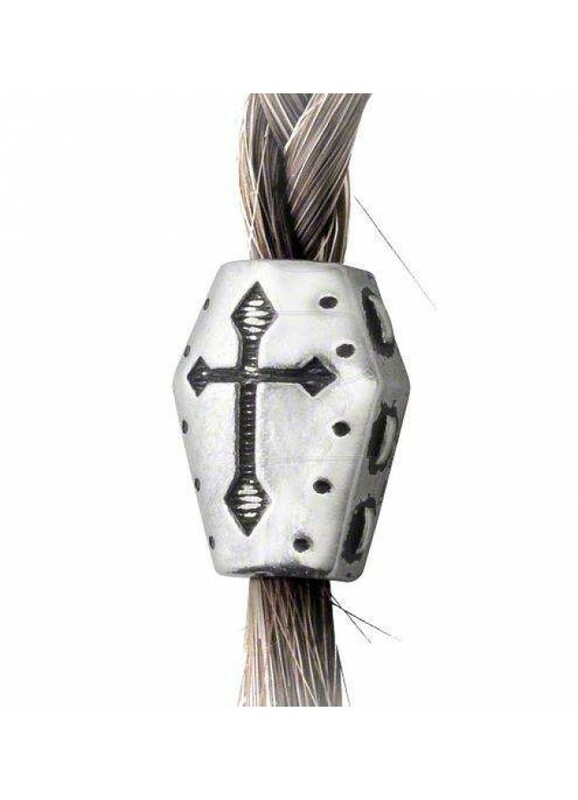 Coffin shaped pewter bead with engraved cross on both sides. 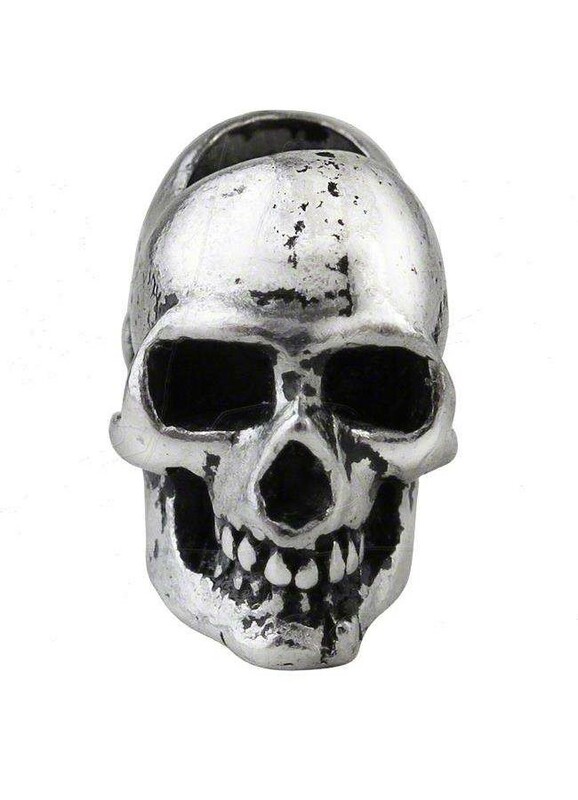 Alchemists Skull; The skull of the immortal warrior, magi and philosopher, as a talisman to help get through lifes trials. 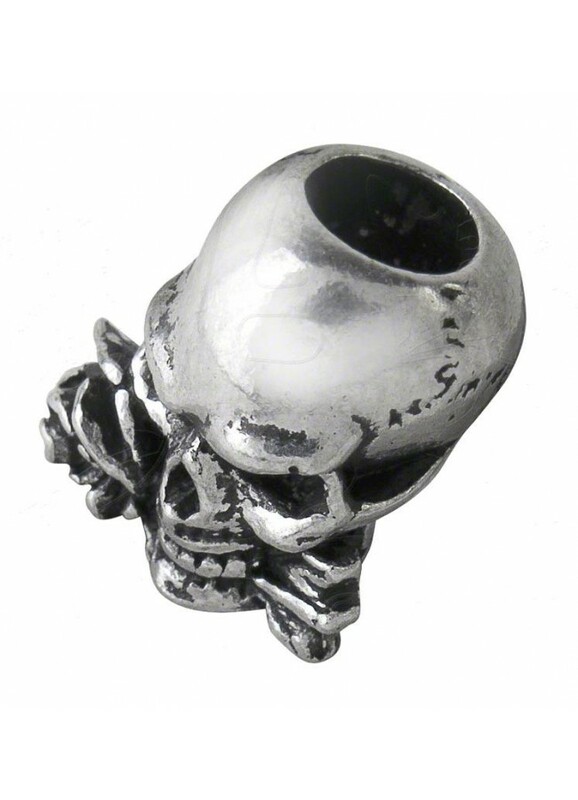 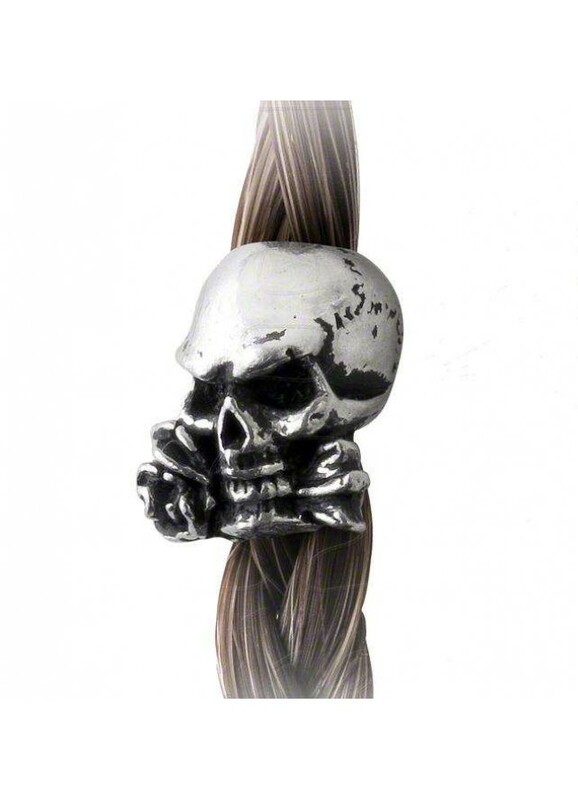 Finely detailed pewter bead is single sided of a skull with a rose between his teeth. 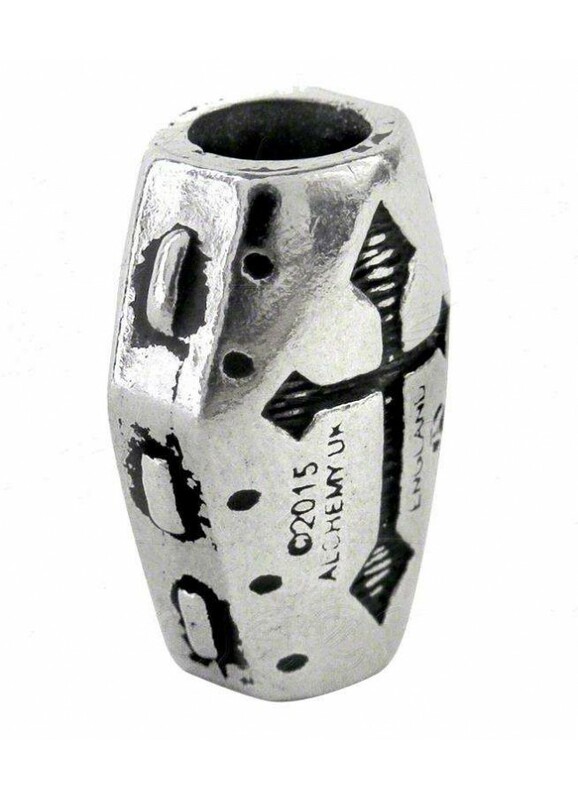 Item Number: AG-ABR1 | Approximate Size (Inches): 0.25 wide x 0.15 deep x 0.78 high | Approximate Shipping Weight: 0.25 lbs.